The College Football Playoff only allows four teams into its prestigious tournament. Yes, we used to have no postseason tournament in college football, but when you see how many teams are still undefeated through seven weeks of play, you could make the case that the end of the season event should include even more teams. However, for this year at least, the voters will be assigned with the task of picking just four schools to play for the national championship. This decision will be tough and likely full of controversy. Just last season, several teams had a legitimate case for the fourth and final spot in the tournament, with Ohio State ultimately prevailing in the decision. Right now, at least 10 teams could make a serious case for their inclusion this season. While some of these teams will fall off in all likelihood, the voters could end up with a daunting task in picking just four schools. Who really deserves to be one of the four remaining teams playing for the game’s top prize though? Well, through seven weeks, we think there are four teams that stand out above the rest. Here they are, broken down one by one. Clemson, if the season ended today, would make the playoff over teams like Ohio State and TCU, who are currently ranked ahead of the Tigers in the AP Poll. The reason you have to like Clemson’s case is because of their one strong win over Notre Dame a few weeks ago. While the likes of the Buckeyes and the Horned Frogs have the opportunity to rack up marquee wins later in the year, they have played down to their weak schedule at times and have several issues to pan out. That just isn’t the case for Clemson. With efficient play from quarterback Deshaun Watson and enough defense to stop the opposition, the Tigers have had several impressive performances outside of their Notre Dame win. They’ve done everything they were supposed to do, so you really can’t gripe about this squad. Another reason to like Clemson is their high likelihood to go unbeaten, with only rival Florida State posing a major threat to a 12-0 season. With maybe the most powerful offense in the country, the Baylor Bears deserve a playoff spot through seven weeks of action. They have major competition for this spot in fellow Big 12 offensive juggernaut TCU, but Baylor has been far more impressive this season, winning by huge margins each and every week. TCU, on the other hand, has had more than one close call already against sub-par competition, setting them behind the Bears right now. The verdict is still out on how the Bears, who are ranked No. 2 in the polls this week, will play against better competition. After a couple more weeks of should be surefire wins, they will play three straight games against the other top teams in the Big 12, including TCU and fellow unbeaten team, Oklahoma State. If the Bears survive that stretch, there is no logical reason why they would be left out of the playoffs. Of course, the Big 12 was shut out of the tournament last season, so it is questionable how much the voters respect the league. 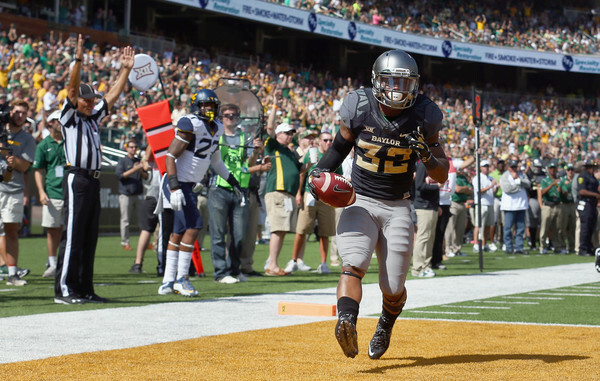 Still, as of now, Baylor looks like a team deserving of a spot. 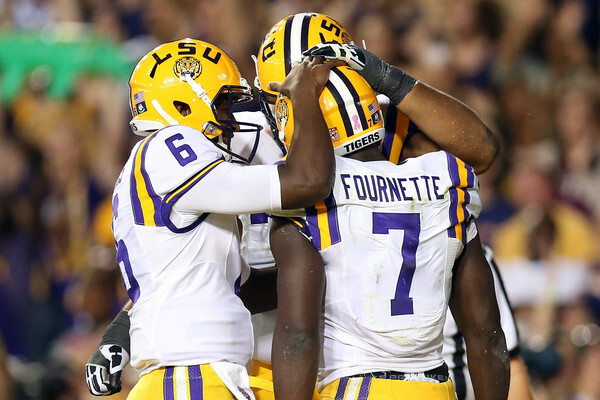 No team in the SEC has been more impressive than the LSU Tigers so far this season. With Leonard Fournette leading the charge, LSU has compiled one of the more impressive early season resumes in the nation, with wins over Florida and Mississippi State giving the team a high level of legitimacy. While they’ll still have plenty of huge games in the second half of the year, the Tigers have set themselves up nicely for a run at the College Football Playoff. Alabama, Ole Miss, and Texas A&M all sit in the way of LSU and a unbeaten season. Even if one of these teams trips the Tigers up, they may still have a great chance to make the tournament. We’ve seen one loss SEC teams get plenty of love in past seasons, so it isn’t unfathomable to think that the one loss team from the conference could make the playoff over an undefeated team from a weaker conference. Obviously, that contest against Alabama will determine a lot, but very few teams have played as well as LSU through seven weeks and it’s beginning to feel like a playoff spot is a matter of when, not if, for the Tigers. The best resume in the country equals a guaranteed playoff spot for the Utah Utes at this point in the year. It’s difficult for a team to control their own destiny in the voter-dominated world of college football, but Utah just might have that control right now. With a dominating victory over Oregon, a win over a very good Cal team, and a season-opening victory of the revitalized Michigan Wolverines, the Utes have gone from unranked to the No. 3 team in the country. You could easily make the argument that they should be No. 1. 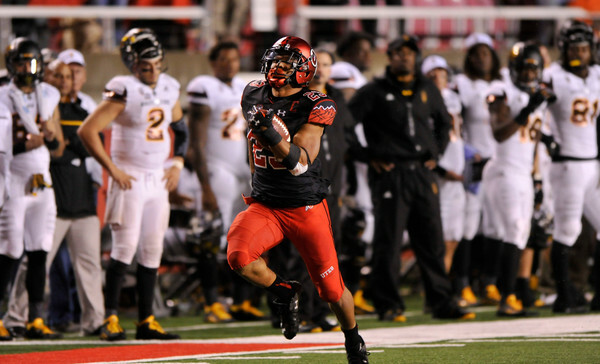 Travis Wilson and Devontae Booker have led an offense with the ability to explode. The defense has also shown the ability to prevent opponents from scoring a ton of points. This gives Utah a great chance to run the table against a favorable schedule. None of the Utes remaining opponents are currently ranked and while at least one of them will surely test their limits, you have to like their chances to win out. If that happens, there is no way this team gets left out of the tournament.